On the 17th of July 1998, the international community reached an historic milestone when 120 States adopted the Rome Statute, the legal basis for establishing the permanent International Criminal Court. This included South Africa, which had just been just loosened from the shackles of apartheid, It became the first permanent, treaty based, international criminal court established to help end impunity for the perpetrators of the most serious crimes of concern to the international community. Even though South Africa was one of the last few States to obtain independence in Africa, it ratified, acceded to and put into force the statute between 1998 and 2002 without coercion, because no one could bear the sight of another round of bloodshed. South Africa even participated in the formation and consolidation of the Rome statute, despite being ‘the new kid on the block’. It became the hub and arbiter of democratic developments ahead of countries such as Zimbabwe, which obtained independence as early as 1980. 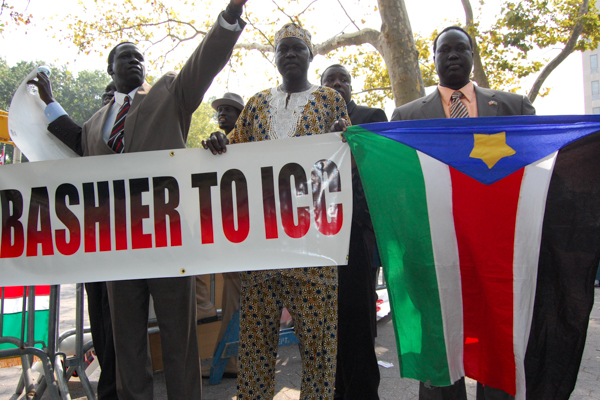 The State agreed to the dictates, rules and regulations of the International Criminal Court. However, in June 2015 South Africa defied a court order to arrest Al-Bashir, in direction opposition to the very principles it had agreed to under the ICC. There was a clamour by African leaders to leave the ICC, yet South Africa’s history and recent incidences indicate a need for it . This development raises questions about impunity, sovereignty and universal jurisdiction, as well as the ability of African institutions to prosecute international crimes (Sidiropoulos, 2015). Given South Africa’s participation in peacekeeping missions in the Democratic Republic of Congo and Burundi, in 2000 and 2003 respectively, it’s clear that there exists a motive to restore peace and stability, especially in African countries plagued by instability and war. Civil wars are indicative that incumbent African rulers are still promoting and institutionalising a culture of impunity and a lack of accountability, which can be seen in the recent developments in Burundi, Burkina Faso and on-going atrocities in the DRC. Many leaders have been cushioned from liability, showing that in post-independence Africa, democracy is being sacrificed on the altar of unity, while innocent people are dying at the disposal of draconian governments. Africa is reeling under the ugly head of gross and pervasive human rights abuses in Burundi, the Central African Republic, Mali, Sudan, Zimbabwe and Uganda at the hands of the leadership, be it State or non-State. It seems that the leaders calling for withdrawal from the International Criminal Court have a dire human rights background, and those advocating continuous membership to the court are heavily criticised and accused of being Western puppets and anti-patriotic. Pan-Africanism should never be abused to justify and shield dictatorship and oppression. South Africa pulling out of the ICC contradicts its commitment to end gross human rights abuses on the continent. South Africa’s stance of turning its back on people in Sudan plagued by violence and vast human rights abuses, coupled with its own deteriorating human rights standards, such as the deplorable Marikana massacre in which no one is assuming responsibility, will result in South Africa losing its reputation as a leader in reconciliation, human rights and constitutional development. South Africa is increasingly becoming torn by democratic retrogression and economic decomposition, which is also contributing to reduction in Foreign Direct Investment (FDI) and economic recession. If South Africa pulls out of the ICC now, there is a high possibility that FDI will decrease significantly, undemocratic governance will increase, and all the other African States will follow suit or take advantage of the decreasing accountability. Situations such as the one we are witnessing in Burundi, where President Nkurunziza has unconstitutionally extended his term of office, may become commonplace. South Africa is embarking on a delicate path of prioritising political interests above human security, which will reverse all the progressive democratic gains it has made both regionally and internationally. Should South Africa justify atrocities through ‘solidarity’ and give a blind eye to gross human rights abuses so as to be politically correct? Should people be sacrificed on the altar of ‘sovereignty’, whilst women and children are amputated, raped and killed every day in the name of the right self-determination? This brings me to the question of what, then, is true ‘unity and solidarity’ in Africa. True Africanism, for me, is caring for people in war zones and knowing that institutionalising gross human rights abuses has consequences. The SADC Tribunal was suspended in 2010 and the African Court is not yet functional; the state of governance and human rights in the next few years is only left to one’s imagination. In the worst case scenario, if Africa withdraws from the ICC the realities and experiences of the ordinary people will remain in acute contrast to the stated intentions of the court. My conclusion is that South Africa is not yet ready to leave the ICC. The Rome Statute makes the ICC the court of last resort in instances where national authorities are unwilling or institutions are unable to prosecute mass atrocities and war crimes (Sidiropoulos, 2015). If South Africa pulls out then the whole content will plunge into an abyss. Africa, let us unite and stand against wrong decisions by our leaders. Africa belongs to Africans. Sidiropoulos, E (2015) Bashir, Immunity, Impunity and South Africa, Sangonet newsflashes, Johannesburg. Themba Lesizwe (2004) Civil Society and Justice in Zimbabwe ,Themba Lesizwe Press, Johannesburg. 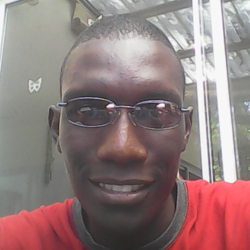 T.Tlou is a freelance Researcher and Writer specializing in Human rights, the Environment, Peace and Governance issues. He is also in possession of a BSc (Honours) Degree in Peace and Governance and a Post-Graduate Applied Conflict Transformation Certificate. He works with various NGOs in South Africa.